At the Peabody Museum of Archaeology & Ethnology, Zapotec master dyer and textile artist Porfirio Gutiérrez leads workshops on traditional cochineal-based dyes and weaving techniques (May 18 and 19), and then lectures on “Preserving Zapotec Weaving Practices” (May 21). 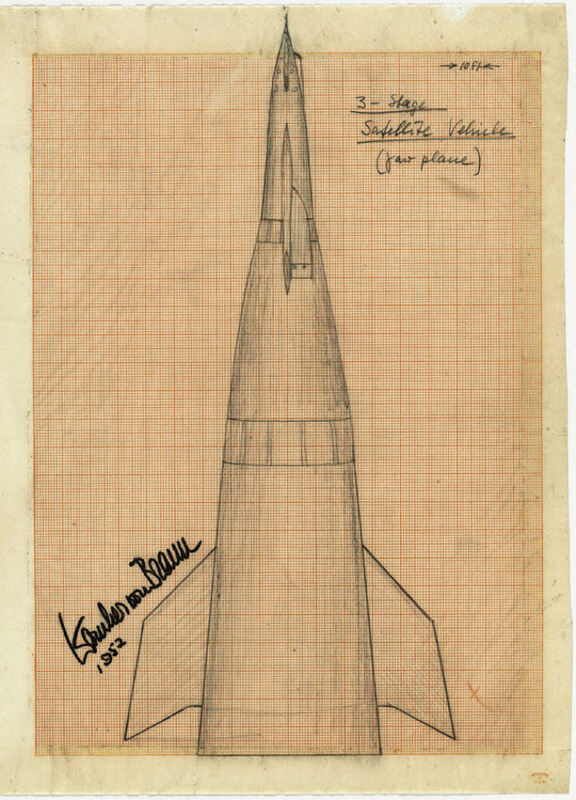 Among the objects in Houghton Library’s fascinating exhibit “Small Steps, Giant Leaps: Apollo 11 at Fifty” is a prescient 1952 drawing of a capsule (at right) by the German-American aerospace engineer Wernher von Braun. He had developed the V-2 rocket as a weapon for Nazi Germany, and was among the technical professionals secretly relocated to the United States after the war. Ultimately, he worked for NASA and was the primary architect of the Saturn V launch vehicle used in the 1969 moon expedition. The exhibition explores the scientific contributions that led to the space mission through artifacts from Houghton’s holdings, and from a private collector. Thus, a diagram featuring the sun, not the earth, as the center of the universe (from Copernicus’s 1543 On the Revolutions of the Celestial Spheres), and Galileo’s early telescopic images of the moon (from his 1610 Starry Messenger), share display space with a penned sketch of the lunar module that Armstrong made to explain his imminent mission to his father. Note, too, the star chart used to calibrate Eagle’s guidance system after landing on the lunar surface. Signed by Buzz Aldrin, it’s still flecked with moon dust. The new Science in Our Park Series offers hands-on learning experiences for kids (ages five and up). “Dissection Dramatics—Flower Form” hones observation and microscope skills (May 26) and “Get Your Hands Dirty!—Soil Science” employs digital probes and data collection to unearth natural treasures. (June 23). 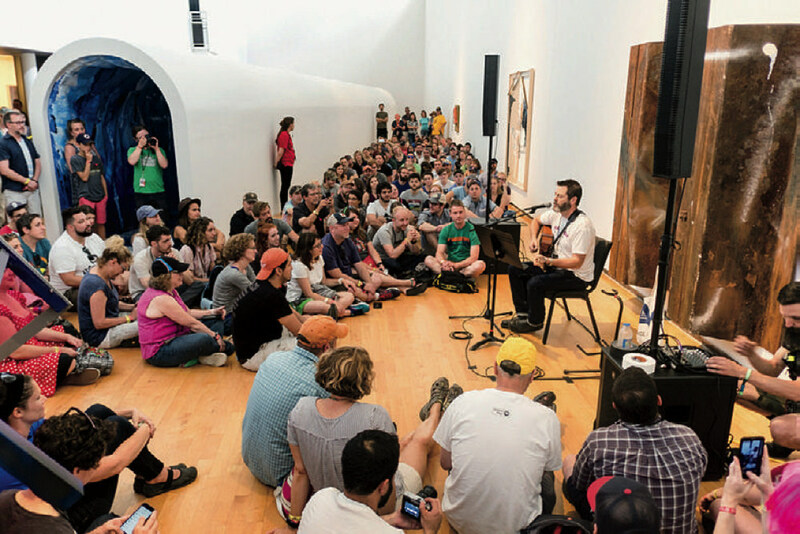 Wilco’s Solid Sound Festival—June 28-30 at MASS MoCA in North Adams—features the alternative-rock band alongside a lineup spanning the musical spectrum. Tortoise integrates electronica, jazz, and “krautrock” (experimental mash-up music originating in 1960s Germany), while the lyrical, Welsh-born Cate Le Bon performs her genre-defying peppery, seductive post-rock. Tuareg songwriter and musician Mdou Moctar takes the stage to play mesmerizing electronic adaptations of traditional Tuareg guitar music. And don’t miss Lonnie Holley. The Southern artist, teacher, and late-life improvisational musician, whose 2018 album Mith stuns the senses, composes celebrations of life’s beauty, and starkly pointed meditations—like “I Snuck off the Slave Ship.” Expect food trucks and pop-up music-related art, along with acts like Circus Smirkus and the John Hodgman Comedy Cabaret, too.